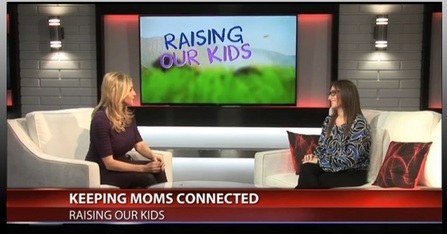 Westchester NY Moms is a community of over 10,000 local moms that connect online and in person. We provide resources for moms to engage with each other and discover things to do, places to go, local businesses and more. We help them enjoy life as moms. Whether it is attending an event, taking part in a Facebook conversation, reading a tweet, finding birthday party entertainers in our Directory, making a request for home repair or exploring ideas for the weekend at WestchesterNYMoms.com, we have moms covered. What makes us special? We are for Moms, from Moms! Our content is sourced from local moms and recommended businesses in our community. We connect you to other Moms! Join our Facebook group to interact in real time. Share ideas and get support. We connect you to local resources. Find and hire local businesses in a snap by making a free request or looking through our Directory​. Support MOMtrepreneurs in our community! We connect you to relevant information from our community of moms. Browse through our website, follow us in social media, and read our blog. We connect you to what is going on. Post, share or find an event in our Community Calendar and check out ways to meet other moms. We connect you to the best Westchester has to offer you and your family. Get out there and have fun! The community was formed in June 2011. As a new mom, who was new to Westchester County, Melissa had a difficult time finding local things to do, places to meet other new moms, and recommendations for the things she needed. There was no go-to place for this information. Why was this so hard? She began discovering so many wonderful activities, businesses and places to go in Westchester and wanted to share them. Melissa created a Facebook group ​with her own circle of friends so that they could share experiences and recommendations in an open, interactive dialogue. She began receiving requests from other moms to join. Today there are almost 10,000 moms in the group! Thanks to the amazing team of group administrators, it is a very active and supportive community. Each day moms ask about anything and everything-- information about local towns and schools, restaurants, parenting advice, medical recommendations and more. Her passion to bring moms together and provide them with an effective resource was a perfect fit. In her pre-mom days, Melissa worked as an advertising executive in New York at top agencies including McCann Erickson and DDB. Read more About Us in our Blog.